Welcome to McLarty Daniel Chrysler Dodge Jeep Ram Fiat in Springdale, Arkansas! We are proud to sell a wide variety of cars, trucks, vans and SUVs to our friends and neighbors in Northwest Arkansas. Our customers come from across the region, including Springdale, Fayetteville and Fort Smith. 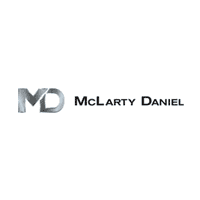 McLarty Daniel is a family environment, and our owners Russ and Jamie Daniel are committed to treating all of our employees and customers with the utmost care and respect. Whether you’re coming in to purchase a new or pre-owned vehicle, have your vehicle serviced or pick up parts and accessories, you’ll be welcomed like family. We are proud to have a vast selection of new Chrysler, Dodge, Jeep, Ram and Fiat vehicles, including the dependable Ram 1500, exciting Jeep Cherokee or the rough and rugged Ram 2500, along with many other cars, trucks and SUVs. We also have a great selection of quality pre-owned and certified pre-owned vehicles, with access to hundreds more across our auto group. We also have a service department that’s equipped to handle all of your needs, from oil changes, tire rotations and fluid top-offs to more complicated work like complete engine rebuilds and transmission overhauls. Our parts and accessories department is stocked full of great OEM and aftermarket products for your Chrysler, Dodge, Jeep, Ram or Fiat vehicle. Have a question? Get in touch with us or stop by our dealership on Thompson Street in Springdale! In Northwest Arkansas? 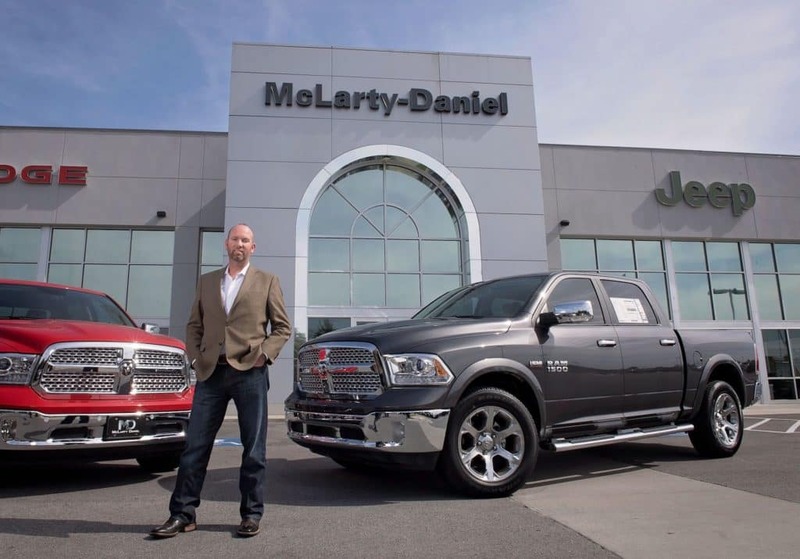 Ask your smart phone or virtual assistant to “locate a Chrysler dealership near me,” “locate a Dodge dealership near me,” “locate a Jeep dealership near me” or “locate a Ram dealership near me” for easy navigation to McLarty Daniel CDJRF of Springdale! We’re looking forward to meeting you.